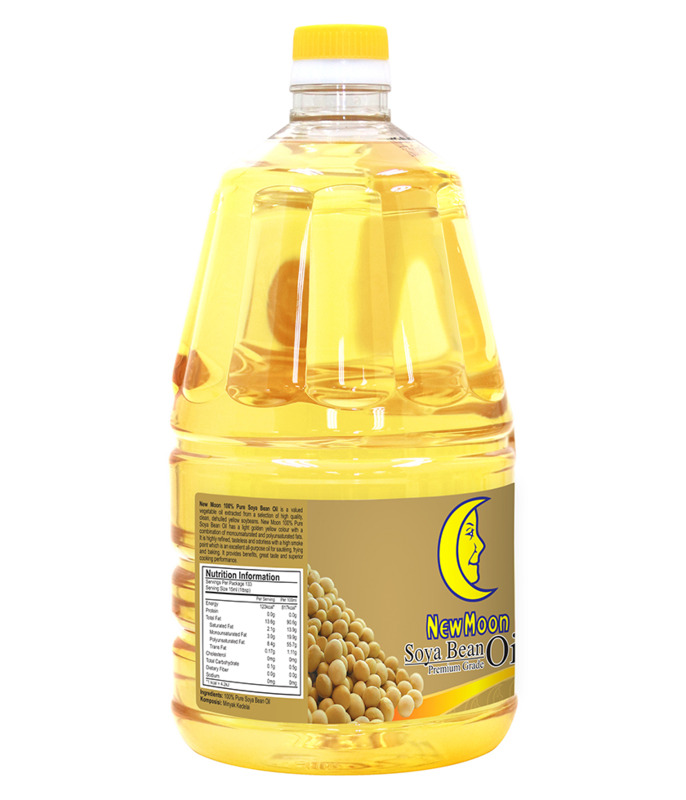 New Moon 100% Premium Grade Soya Bean Oil is a valued vegetable oil expressed from a selection of high quality, clean, dehulled yellow soybeans. 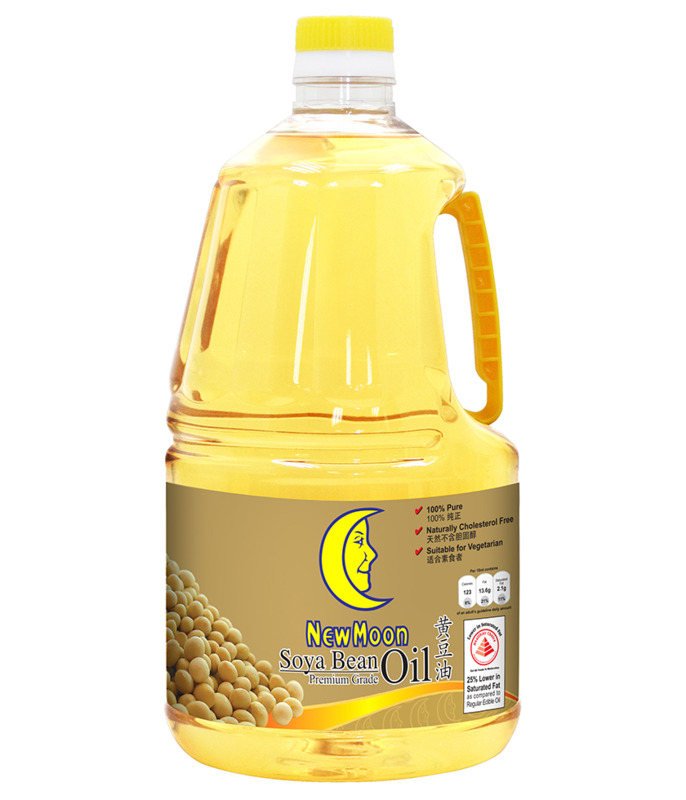 The 100% pure soya bean oil has a light golden yellow color with a combination of monounsaturated and polyunsaturated fats. It is highly refined, tasteless and odorless with a high smoke point which is an excellent all-purpose oil for sauteing, frying and baking. 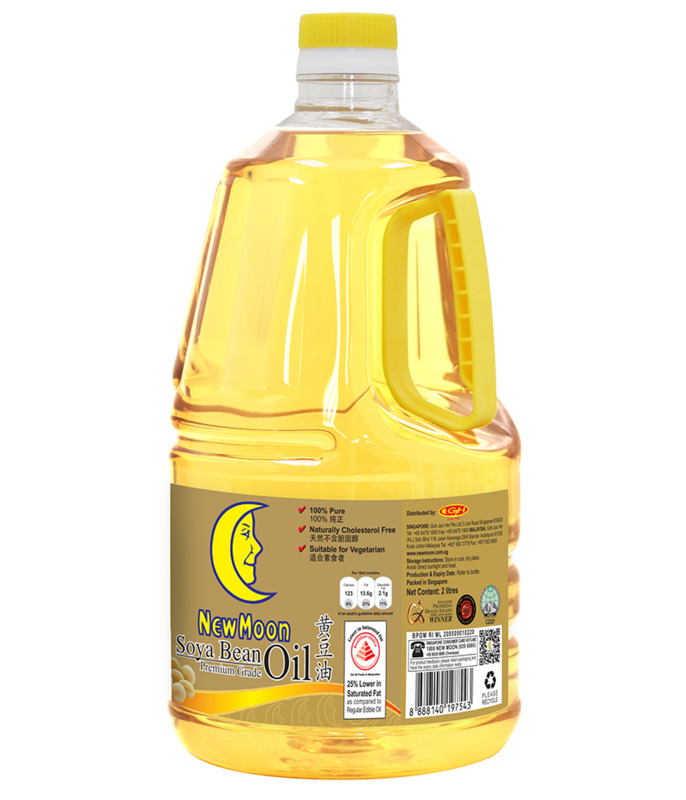 It also outshines other oils by providing optimal benefits, great taste, and superior cooking performance, while remaining naturally cholesterol free.